At the southern end of Maine, USA, stands Nubble Light, perched upon a small nub of an island, approximately 100 yards (91 meters) off Cape Neddick Point, in York. The light is constructed of a cast iron plate with brick lining on a concrete foundation and was first lit in 1879 and is still an operational beacon. Although the light itself is only 41 feet (12 meters) tall, it stands 88 feet (27 meters) above sea level due to how it sits on the very small rocky island. 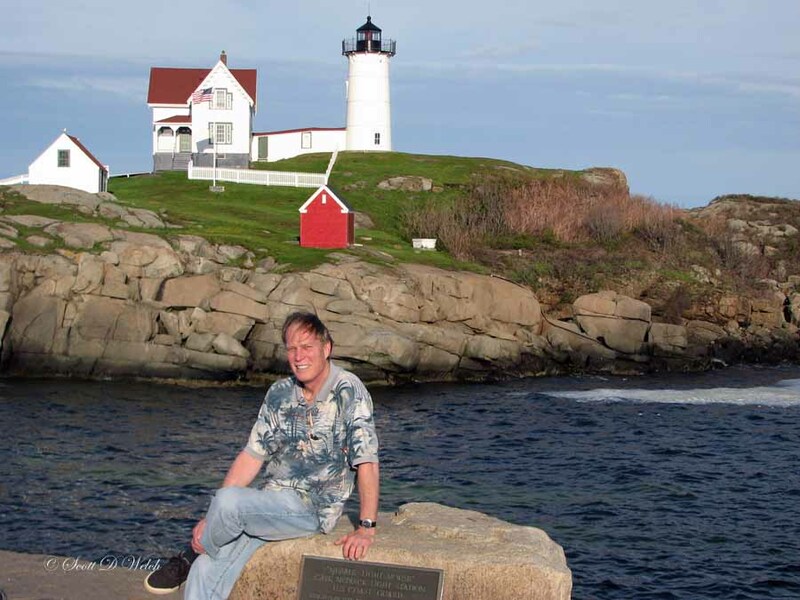 The original name was the Knubble Lighthouse (sitting, as it does, on the islet known as Nubble Island). 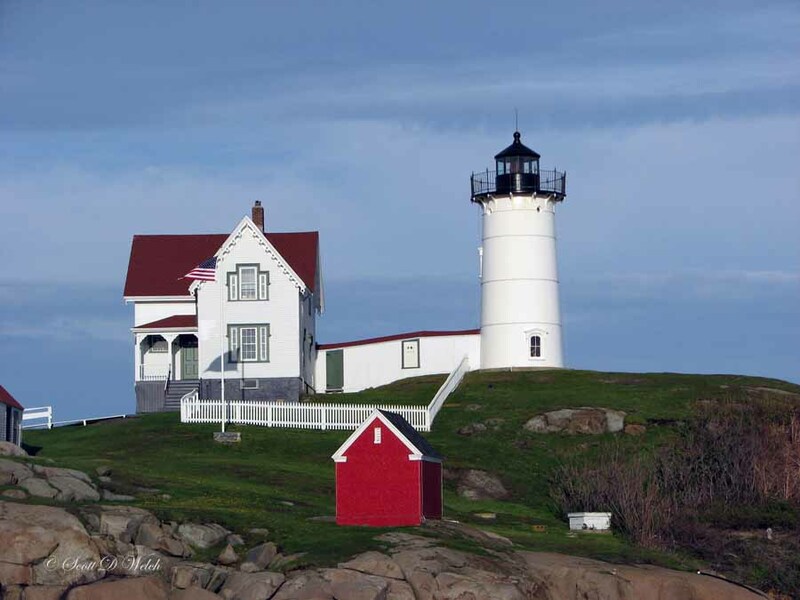 However, when service of the light was transferred from the Lighthouse Service to the US Coast Guard it was given the official name of Cape Neddick Lightstation. 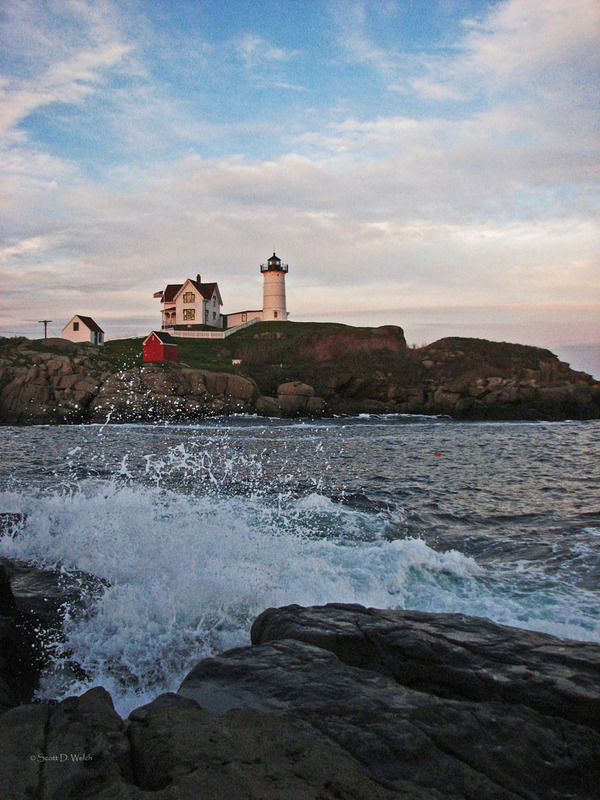 Nonetheless, most people refer to it as Nubble Light, or The Nubble. To ensure care of the facility, in 1985 the lighthouse was added to the National Register of Historic Places. 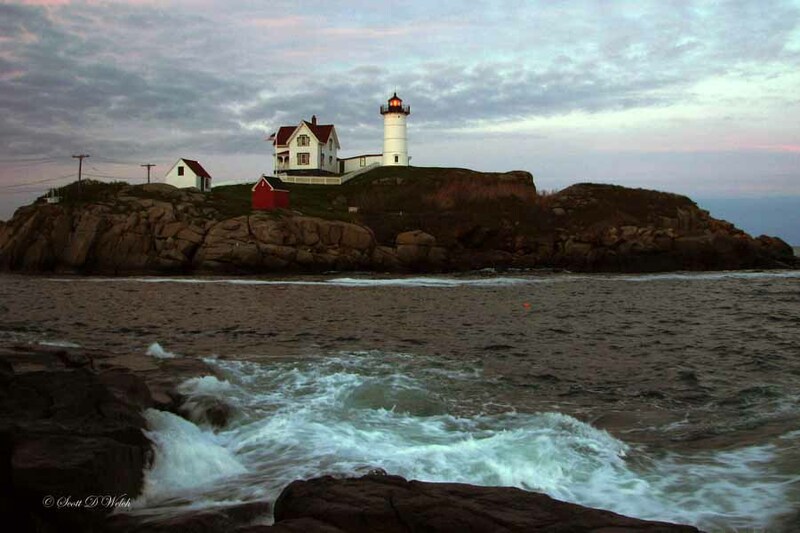 Then, in 1987, due to shortages of funding and resources to care for the light, and with developing technologies, Nubble Light became fully automated, so there is no longer a live-in caretaker. In 1997, The town of York applied for, and received, responsibility for the upkeep and, since that time, the Parks Department oversees all aspects of operations, while the Coast Guard cares for the actual light and horn. Although the lighthouse is not accessible to the general public, there are many vantage points for capturing images of this historic site. When visiting the northern East Coast of the United States, a visit to York, Maine, and taking in the Nubble Light, while feasting at one of the many fine restaurants in the area, is definitely recommended.